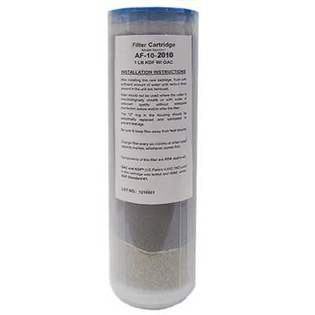 Home > Replacement Filters → Aries GAC/KDF Filter Cartridge 10"
Aries GAC/KDF Filter Cartridge 10" is a standard 2.5" x 10" Clear Cartridge that helps remove chlorine and other heavy metals, and at the same time, can extend the life of existing cartridges. Granular Activated Carbon(GAC) has remarkable cleaning and absorptive properties, which makes it an effective way to purify water. The addition of stabilized or reticulated KDF55 media is used to compliment activated carbon filters. It aids in the removal of chlorine when treating municipal waters, and extends the carbon's life, while limiting bacterial growth in the filter. The combination of GAC and KDF can significantly extend the life of filter cartridges. Aries FilterWorks GAC/KDF Filter Cartridge AF-10-2010 will fit most standard 10 x 2.5 inch housings and can be a replacement filter for many cartridges that contain Coconut Shell Granular Activated Carbon and KDF/Eagle Redox Alloy media. KDF filter media works via oxidation-reduction(redox) process to remove metals, chlorine, hydrogen sulfide and a number of other contaminants. KDF also helps GAC to do a better job at removing taste and odor. Stabilized KDF redox media extending the carbon's life and inhibits bacteria growth. Acid Washed Coconut Shell carbon, prevents pH spiking and adds approximately 5% more capacity to carbon media. Bacteriostatic media controls the growth of microorganisms. Q: My cartridge came visibly with less KDF that in previous years? 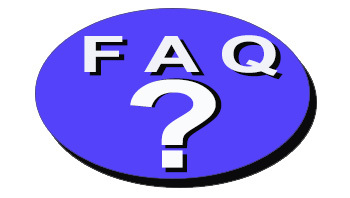 A: It is an identical product from the same manufacturer. Older cartridges use standard KDF, which looks like metal particles. Newer cartridges use a different form of KDF material that looks like fibers. According to the manufacturer, a smaller amount of KDF in fiber form would perform at similar level as larger amount of KDF metal particles. The new cartridge is also a little lighter. *Cartridge capacities are based on reducing 90% of free chlorine with a 3ppm influent. Actual results will vary depending on the influent water. - Initial flushing:Rinse with no less than 10 bed volumes of water before use. 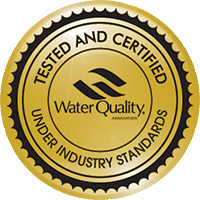 ResinTech GAC WQA/NSF 61 Gold Seal Certified for Material Safety.